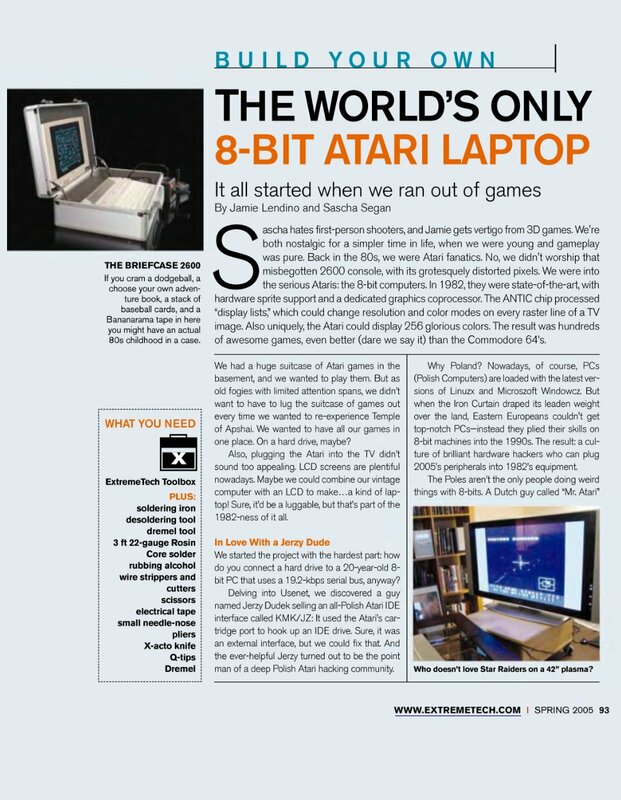 The third issue of ExtremeTech.com internet magazine contains an article The World's only 8-bit Atari Laptop. 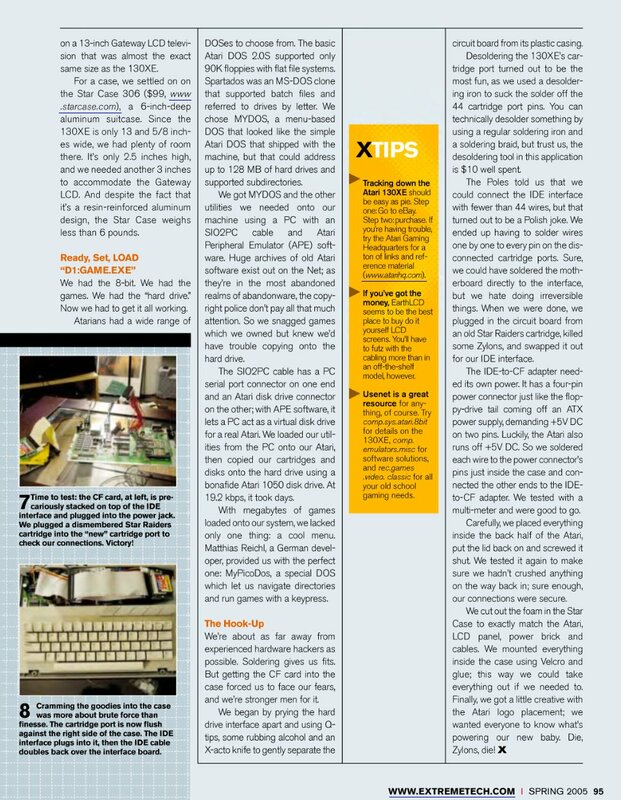 The magazine is not free, and acces to the article is a bit complicated, so we've prepared something easier to read (pages: 1, 2, 3). The article was written by Jamie Lendino and Sascha Segan in cooperation with Duddie.